When I join Jubilant, am I recruited for a particular Division? You are recruited into Jubilant groups and after your induction you are assigned to a particular Division. Jubilant is structured such so as to ensure 'separateness' for focus in each business and integration for synergy. New entrants are assigned to a particular Division where the focus is on understanding that particular business: the market, the product, the process etc. The attempt is to provide cross business exposure to managers with demonstrated potential to enable them develop all round business skills and prepare them for business leadership. Those individuals who prefer to grow as functional specialists are encouraged to do so. Movements from one business to another take place depending on the needs of the business. How is my career progress determined in Jubilant? 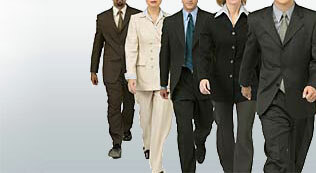 Jubilant believes the responsibility for career development rests both with the individual and the Organisation. While the Organisation provides opportunities for learning and growth, it is the individual's responsibility to ensure he enhances his competencies to shoulder higher responsibilities. Career development therefore is a two-way process. Above all, the key factor determining career growth is meritocracy and performance. Is age a barrier to career growth in Jubilant? Not in the least. As already stated, career growth is determined by performance and meritocracy. What are the cornerstones of Jubilant performance management system? The performance management system is based on 'Balanced Scorecard' method. The individual agrees his performance objectives on all quadrants at the beginning of the year with his superior. These objectives naturally flow from the objectives of the unit/business. At the end of the year his performance is assessed against the objectives set. The appraisal attaches as much importance to ''how'' results were achieved as to the results themselves. The rating is determined by the executive's 'supervisor' and reviewed by his superior. Therefore, two individuals are involved in assessing an executive's performance. The appraisal process also gives the individual an opportunity to share in a formal manner his own career aspirations and what he needs from the organisation to enhance his own development. Based on an assessment of development needs, a development plan is drawn up for each manager. Remuneration changes are made once every year based on the performance rating of the individual. The entire process is transparent and objective. All managerial positions are transferable. The services of a manager can also be transferred to a subsidiary or associate company in India or abroad.